I came home last evening and sitting on my front porch was the most delectable assortment of goodies one could hope to come home to. They were packaged with care in gorgeous little takeaway boxes all labeled with fancy writing and gorgeous ribbon. 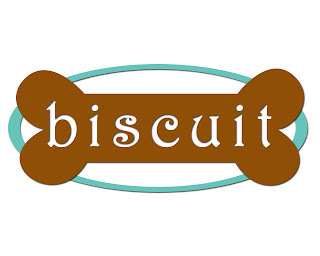 Inside, oh inside, were cheese rounds, spice cakes, fruitcake, and peanut butter bones. Peanut butter bones?? 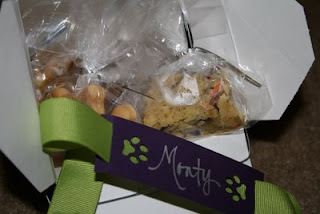 Alas, these goodies were not for me, but for all of the four legged family members from Biscuit a new endeavour of my friend Stephanie.